Superfoods and trendy diets come and go with each browser refresh, it seems. There’s one healthy habit that’s managed to hold strong through it all: the beloved smoothie! Easy to make, delicious, and portable, the team at Naked Snacks can’t get enough of them. When paired with a handful of Wholesome Yogi or Tuscan Road Trip, it’s the perfect meal to keep you energized, nourished, and happy. The only ‘diet rules’ we follow are guided by two principles: real and delicious. Nothing too extreme or crazy, just 80% whole goodness and 20% earned indulgence to give it a boost in flavor and excitement. We all live such busy lives, which is why smoothies are an awesome go-to for those days when all we’ve got time for is a quick bite on the run. One of our Naked Snacks staff has a cherry tree at her family home in Ladner, BC. We’ve been lucky enough to be given stacks of cherries that have inspired this smoothie. In addition to tons of flavor, this recipe also helps reduce inflammation, promotes healthy gut bacteria, and is bursting with antioxidants. This smoothie is a miracle cure whenever you’re feeling under the weather (or tired from the night before!). Although frozen watermelon does take some time to prep and freeze, the results are totally worth it! Perhaps the best thing about these whirled up treats is they can be easily customized to suit your palette, dietary needs, and budget. 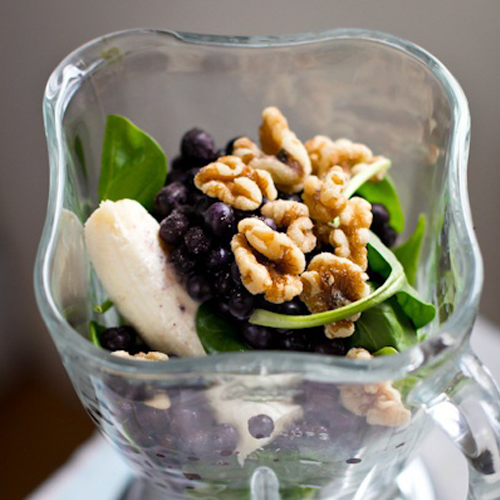 Your blender is the perfect vehicle for experimenting with ingredients that you know and love. Do you have a smoothie recipe you’d like to share? Tag @mynakedsnacks in a picture on Instagram or Twitter, we’d love to see your latest creation!